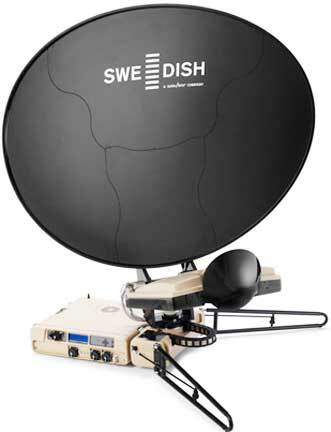 [SatNews] Rockwell Collins has teamed with ND SatCom to integrate the SkyWAN 7000 series modem into the SWE-DISH CommuniCase(r) Technology (CCT) platform, providing a new network processor for Rockwell Collins' CCT-based products. As the newest modem in the CCT family, SkyWAN brings one of the most advanced and powerful multi-frequency Time Division Multiple Access (TDMA) network platforms on the market and supports voice, data and video with data rates up to 10Mbps. With its unique power and bandwidth efficiency, SkyWAN supports small and mobile terminals such as the SWE-DISH CCT120 Suitcase(r). Thanks to their modular concepts, CCT-based products provide the end-user with unique benefits, including the ability to change bands, antenna size or modems in the field within minutes. CCT-based products are cost-effective and flexible solutions for compact, quick-to-air, portable satellite communication (SATCOM).